After Wikipedia, the on-line so-called "encyclopedia," failed to correct false, misleading, and defamatory information contained in its article titled "Wayne Madsen," the editor is staking out a plan to sue the Wikimedia Foundation, Inc. in San Francisco, the non-profit parent corporation for Wikipedia, for a sizable judgment for the immense financial and professional harm their libel has caused after hundreds of anonymous edits and re-edits were made to an unsolicited Wikipedia entry. Essentially, Wikipedia is a massive version of the wall in a public toilet, with one exception. The anonymous "cyber-graffiti" on Wikipedia cannot be erased or painted over. Comedian Stephen Colbert has said of Wikipedia: "if you make something up and enough people agree with you–it becomes reality." Colbert termed the phenomenon "Wikiality." Alleged Wikipedia "founder" Jimmy Wales [he, in fact, has lied about this claim; Wikipedia was co-founded by Larry Sanger], a follower of Ayn Rand libertarianism, accepts no responsibility for the harm Wikipedia has caused to many individuals. The list of Wikipedia's libel victims in a long one and includes former President Jimmy Carter [attacked by a Wikipedia editor in Israel who only temporarily remained anonymous), former Nashville Tennessean editor and publisher John Seigenthaler (attacked by another temporarily-anonymous Wikipedia editor in Nashville), former Norwegian Prime Minister Jens Stoltenberg, former British Prime Minister Tony Blair, House Democratic Minority Leader Nancy Pelosi, former Georgia Democratic Lieutenant Governor Mark Taylor, Republican Oklahoma Senator Tom Coburn, former Rhode Island Democratic Representative Patrick Kennedy, golfer Fuzzy Zoeller, World News Daily chief editor Joseph Farah, computer privacy expert Daniel Brandt, Harvard Law School professor Alan Dershowitz, Canadian columnist Rachel Marsden (with whom Wales engaged in a brief affair as a quid pro quo for his help in clearing her Wikipedia entry of falsehoods), Microsoft founder Bill Gates, actress Jane Fonda, university official Nancy Zimpher, Moore Capital Management hedge fund manager Louis Bacon, literary agent Barbara Bauer, author Alice Walker of The Color Purple fame, British singer/actor Robbie Williams, the actor Sinbad, singer Miley Cyrus, Irish journalist Kevin Myers, Belgian soccer player Ritchie de Laet, British soccer player David Beckham, British television presenter Vernon Kay, British writer Geoffrey Sampson, Israeli business journalist Shmuel (Sam) Vaknin, and actor Ron Livingston. More sadly, some individuals who are no longer around to defend themselves, have been throughly smeared by Wales's cyber-Frankenstein's monster. The list of smeared decedents is also a long one and includes Greek philosopher Plato, Groucho Marx, novelist Ernest Hemingway, the Prophet Mohammed, Edward Kennedy, and West Virginia Democratic senator Robert Byrd. 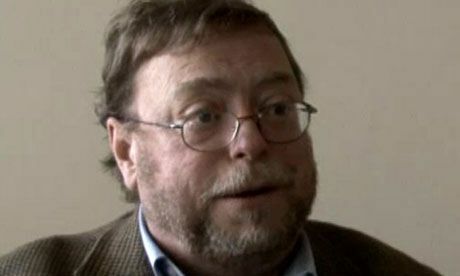 Former Encyclopedia Britannica editor-in-chief Robert McHenry rightfully calls Wikipedia "a game without consequences." After this editor received assistance from a registered Wikipedia editor to clean up errors, falsehoods, and libelous content of the Wikipedia entry in question, our Wikipedia "Good Samaritan" was the subject of intimidation and threats to his professional status from an anonymous Wikipedia editor who uses the handle "Capitalismojo." All that is known about the Wikipedia defamer and libeler in question is that he lives near Madison, Wisconsin. With the number of individuals who have been defamed by Wikipedia growing every day, legal experts have told WMR that there is a very good chance of launching a multi-million dollar class action defamation lawsuit against the Wikimedia Foundation and Wales. WMR is searching for interested attorneys who would be willing to take on a case against the Wikimedia Foundation and Wales on a contingency or pro bono basis. Investigative reporter, author and former Navy intelligence officer Wayne Madsen has reported a major new development in the long-running smear campaign that Wikipedia has undertaken against him. Wikipedia this week rejected a corrected biographical entry for Madsen submitted by a longtime Wikipedia volunteer editor and professional journalist. Instead, Wikipedia reinstalled the smear-biography designed primarily by anonymous editors using a false birthday and, more important, designed to portray Madsen falsely as exceptionally untrustworthy and unworthy of consideration. The new biography that was rejected accurately reports that Madsen has recently published op-ed essays in scores of traditional, print newspapers around the United States. Also, he has been an invited national security and political expert on almost all major United States network and cable news channels, including ABC, CBS, Fox News, and NBC. Wikipedia this week refused to include that kind of career data in Madsen's bio even though the information, routinely included in bios of other journalists, was documented in the standard Wikipedia submission format. This includes hot links to the specific network programs, newspaper columns, and other sources. Wikimedia Foundation Executive Director Sue Gardner passed the request for comment to a communications aide, Jay Walsh. Gardner has previously said that Wikipedia opposes deceptive entries by opinion advocates and paid "sockpuppets." Walsh defended all of Wikipedia's actions, including its practice of relying on volunteer editors who are under voluntary requests to disclose any conflicts of interest. That answer (amplified below) begs the question of what happens if several editors have a fanatical antipathy to a fairly obscure biography subject, and are able to work with like-minded bloggers and other journalists to create a propaganda-like biography. Any involved in such a plan would have little incentive to step forward with a confession. In this case, the Wikipedia's anonymous editor who created Madsen's bio in 2009 and has tweaked it with hundreds of disparaging edits so far. He has even published a comment questioning whether Madsen ever served in the U.S. Navy. By contrast, a Navy colleague who served with Madsen and later became a Navy captain has told me that Madsen was an outstanding Navy officer, patriot, and investigative reporter. More generally, the Wikipedia defamation campaign against Madsen shows a fundamental weakness in Wikipedia's operations that has victimized many other news subjects and readers. A class on Wikipedia at the National Press Club last summer described major problems especially in bios and political items with the Wikipedia system of relying on anonymous volunteer editors for most content.